Białowieża is an immense expanse of primary forest, located on the border between Poland and Belarus. 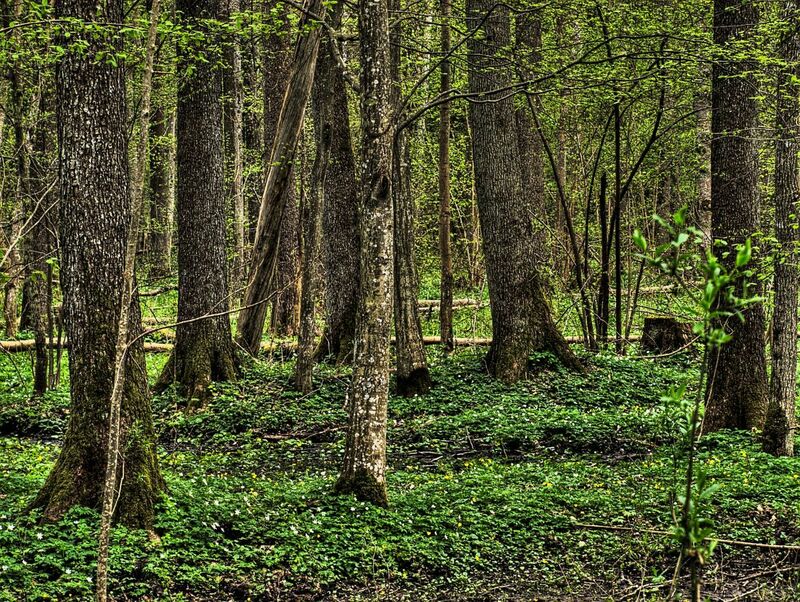 Thanks to several years of protection, it is one of the last remaining primeval forests in Europe. Its future, however, is being threatened by a conflict involving the local government, timber industry, scientists and local population. It began in 2016, when the Polish Minister of Environment approved a controversial decision to increase logging based on the argument that the forest was suffering from an outbreak of spruce bark beetle – an insect that kills weakened spruce trees and has affected more than 30% of the stand. Scientists had identified logging as the best method for fighting the beetle. However, ecologists claimed that logging was inefficient and pointed out that the largest outbreaks of the beetle were observed in areas where sick and dead trees were being logged. The strong timber industry reinforced the importance of the forest to Poland’s economy. However, while the value of regional timber sales is estimated to be US$22.5 million over the past 10 years, ecotourism in Białowieża generates between U$20 and U$25 million of revenue per year – ten times more than that earned by the timber industry and provides an income for 40% of the citizens in the region. Hence the case of Białowieża Forest is an example of a conflict where actors have different interests and perspectives. If all of them are not given a hearing in the process of conflict resolution, the final decisions can be perceived as illegitimate, even if based on science. The solution to the conflict has to develop from appropriate engagement with all stakeholders, backed by robust and legitimate science. Only by analyzing the economic, social, cultural and environmental impacts of each potential solution, can an appropriate approach can be identified to address the crisis and protect Białowieża Forest. Fernanda Gomes is graduated in Social Communication, holds a master’s degree in marketing communications from the University of Westminster in England, and is currently pursuing a Bachelor degree in Biological Sciences from UFRJ, in Rio de Janeiro – Brazil. Currently, she is the Communications Manager of the International Institute for Sustainability (IIS) and is also the co-founder of an NGO focused on scientific dissemination.